With an yearly average high temperature of 84° and an average low of 64°, it is safe to say that almost every day here on Fort Myers Beach is a beautiful one! The highest recorded temperature in Fort Myers was 103° in 1981 and the lowest recorded temperature was 24° in 1894. June historically is the wettest month, while July is typically the hottest month. Temperatures are usually at their coldest on average in January. It’s no secret that our seasonal tourists are called “Snowbirds”, as they fly/drive South to our warm and welcoming climates during the fall, winter and early spring months. 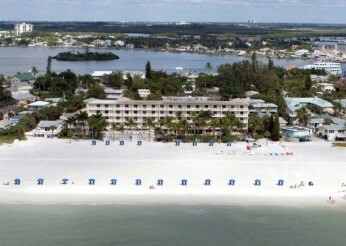 Your Current Weather (below) – Is it time to book a vacation to Fort Myers Beach? !